I've often wondered how the visual system impacts the processing of images (for example, how do colorblind, or dichromatic people perceive a colorful painting?). I thought I'd experiment with some overlapping gradients, contrast and spatial relations to better understand the topography of the retina. When retinal neurons take in a scene, light will excite them into action potentials; cells will fire in particular areas, and those excited neurons will actively block any spreading action to their 'nearest neighbors' in a process called Lateral Inhibition. I thought this was interesting. This can mean that particular areas falsely appear darker or lighter than they actually are. 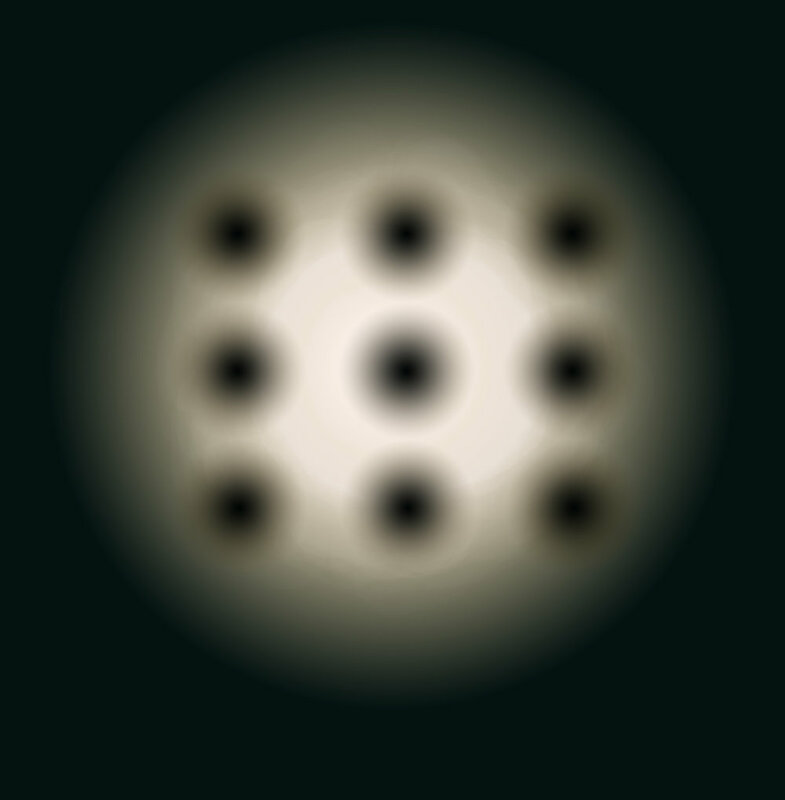 I thought it was interesting that the corner dots in these pictures appear to have a slight brown tinge due to the darker gradient behind them, even though they are in fact all identical. Just a bit of fun and a reminder that our perceptions are not infallible =).